Last year, around this time, I posted (including here and here) about my 60th birthday party. Because I was new to WordPress and to blogging — feeling less secure than I do now — I was more careful about self-disclosure then. 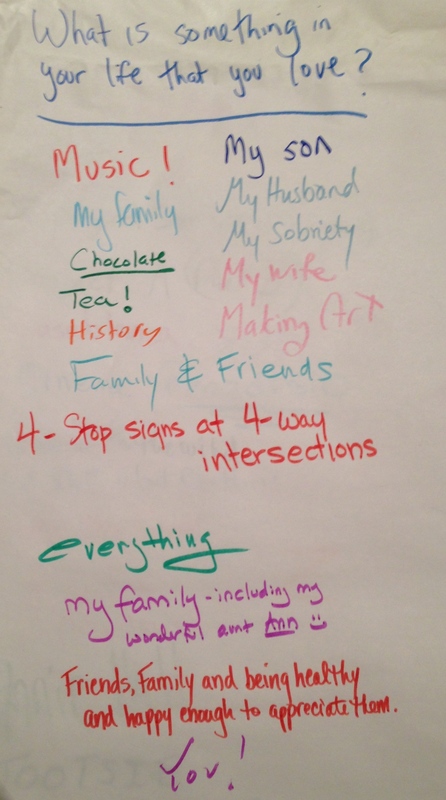 So I wasn’t always clear, detailed, or precise, as I described the pre- and post-party process. 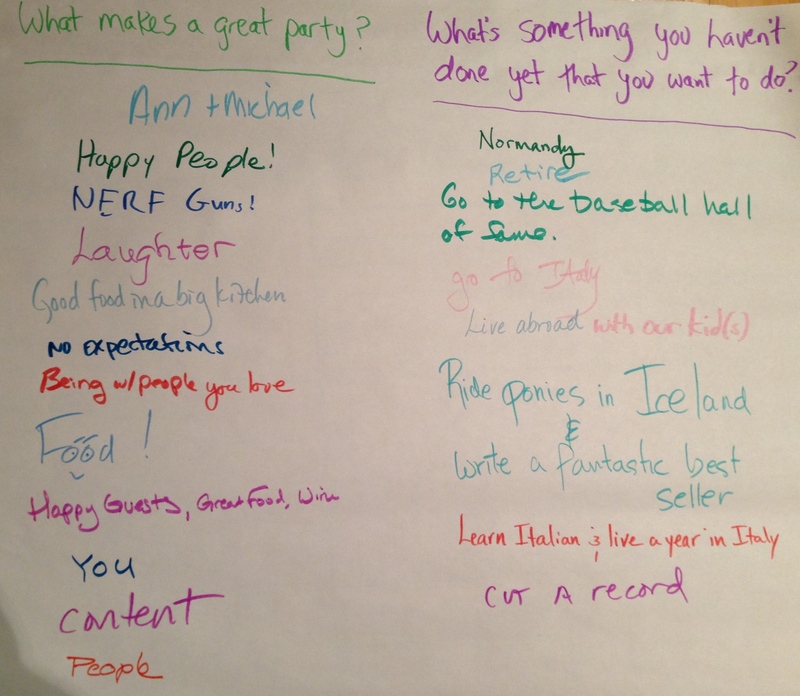 One post I’ve considered writing, since then, is “How to Plan a Meaningful Birthday Party for Somebody of A Certain Age, Even if It’s For Yourself.” But that task remains on my To Do List (perhaps because I really need to tighten up that title). #3. I get to do whatever I want, in this post! Anyway, what do I want to do today? I want to show you images from last year’s party, never before seen in this blog. So without further ado …..
No, wait! There needs to be a bit more ado, before I start. Actually, the images in this post are photos I took today — 2/2/14 — of stuff from last year’s party — on 2/2/13 — which I’ve saved. Does that make sense? If it doesn’t, you’ll just have to figure things out, as best you can. I’m moving ahead to show you these cool images. Why? Because it’s my birthday! Look familiar? I have a similar sign in my office (which showed up in this post). The above was hanging on the front door to our place, welcoming guests to the party. 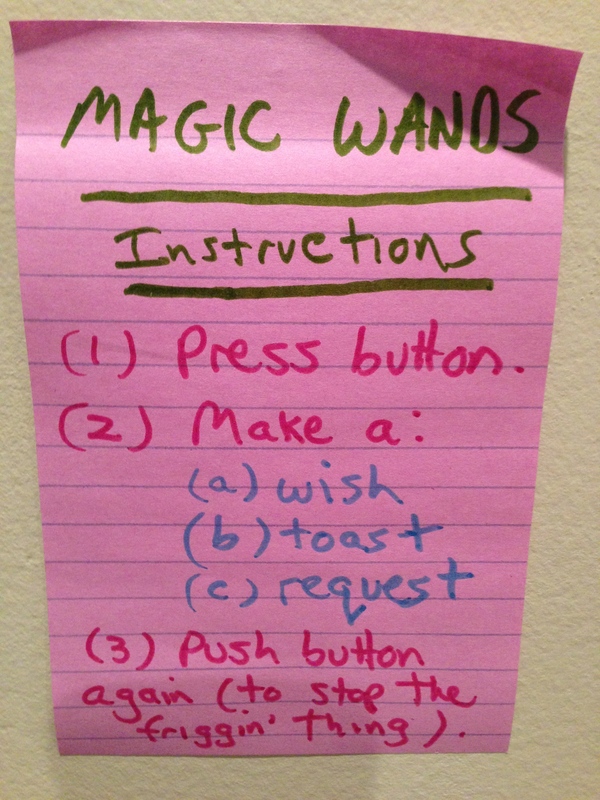 These were the instructions for the magic wands that were ready and waiting, if people wanted to use them. If you want to see one of these wands (which can be glitchy and flukey at times, but which work well enough)2, check out this post. I had several of these big sticky posters up on the walls, with headings, which people could write on. One thing I’m noticing, right now, about the list on the right: Iceland showed up! (Many months before I celebrated Iceland showing up in this blog). I am amazed to see Stop Signs appearing, above, since those octagonal beauties have made it to several blog posts, also (including this and this one). My friends Janet and Ray (who have showed up here) were at the party, with their son Carter. 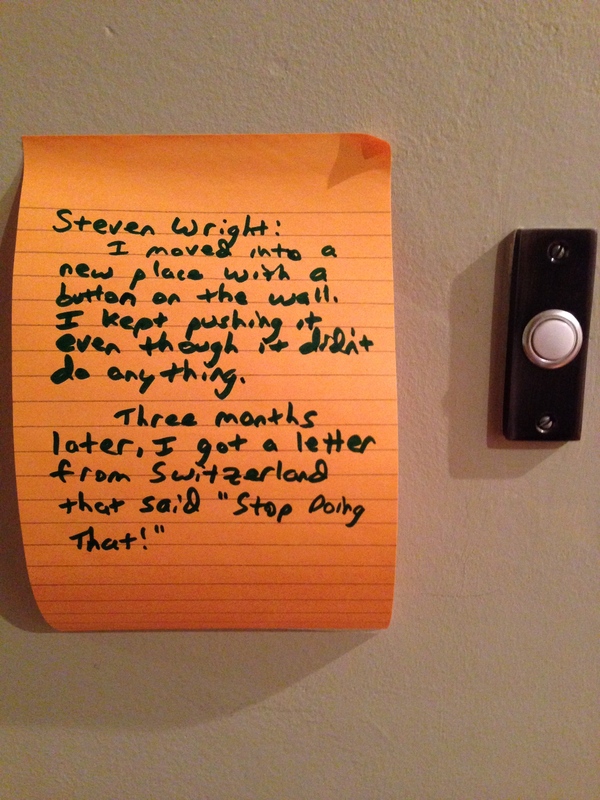 Carter asked me a very good question regarding a button on one of the walls: “What’s that for?” I told Carter I had no idea, and then I told him the Steven Wright line, which he then kindly wrote on a post-it note, for all to see. The last image I want to show, in today’s birthday post, also relates to Janet AND to what’s missing from this post, for me. Let me explain. Last week, when I decided I wanted to show images from my 60th party in my birthday post today, I knew I wanted to show a wonderful haiku somebody had written for me. I found that haiku last week, and put it aside, for safe keeping. So, of course, I can’t find it now. Typical. However, when I was looking for that haiku, I found something else. I just took a break, for a few seconds, to look for the incredible piece that Janet put together for my 60th birthday. This piece not only celebrated me, hilariously, but also included smart commentary on all the decades I’ve lived through. During the party, I placed it in a location of honor, so that all my other guests could see it. And they loved it. 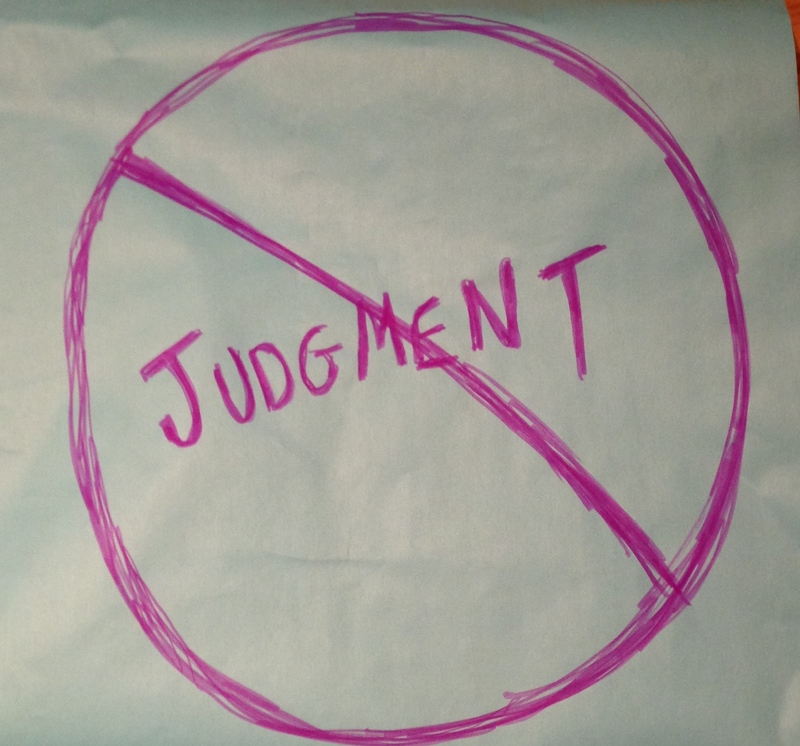 I said more about that, in that December blog post, but I am going to end that quote there. Actually, I’m not going to do anything else, from now on today, except relax and have fun. 1. 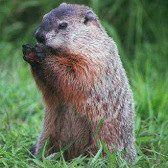 I don’t know the credits for the photo of this cute groundhog, since I found it and used it a year ago. So … sue me! 2. Sort of like WordPress, sometimes. 3. I’m not quite done, actually. I want to thank you, for being my guest here, today. Happy birthday to you, happy birthday to you, happy birthday dear Annnnnnnn. Happy birthday to you! Above sung in mediocre voice but with above-average conviction. I love seeing the fruits of your 60th birthday bash one year later, Ann. Fun. Fun. Fun. And: Wow, you make your friends work hard figuring out what to list on your wonderful wish sheets. Have a great Feb. 2, my friend. Yes, I do make my friends work hard, Mark, including you, with my wishes about your commenting on my post every day (which you are kind enough to grant). Thank you for the wonderful song and thoughts. Thank you, so much. Speaking of many happy returns, I’m always so glad when you return here. Thank you for all your love and for your kind wishes, Amy! They mean a lot to me. Thanks for being here, Carol! Thank you, Gene, for so much. Thanks so much! I will do my best, and I enjoy seeing you here. happy birthday ann! you can do anything you want today & feel good about it….you can call your boyfriend – boyfriend or even moshe or phil,whatever you want. I will call him many things, Errin, and tell him that you told me that it was okay (which makes it great, in my book). Thanks so much! And cheese doodles, too!!!! Yay! Happy Birthday Ann. I hope, that you will have a wonderful day. It’s wonderful that you dropped by, Irene. Thank you so much! Thank you kindly, Mr. Kenneth. Thank you for this soaring thought. Happy birthday! I love the collage-type thing they made for you! Me, too! I’m so glad you appreciate it. I appreciate, very much, your visit today. I feel luckier now! First, happy birthday! Sorry we can’t be with you this year, but it’s probably for the best. As you know, a little of us goes a long way. Second, best post ever, and I’m not just saying that because you mentioned me several times; well, ok, maybe I am, but the thing is, great post. Third, I have to point out one tiny error (is this being judgmental?). Ray wrote the Steven Wright quote on the Post-It, not Carter. If Carter had, you wouldn’t be able to read it, you might not even be able to see it–his script is minute, at best, microscopic at worst. Which begs the question, when he’s president and signs bills into law, will they be valid if you can’t see his signature? I like the idea of there being a tiny flaw in this post, which reminds me of what people always say about tapestries or carpets made by wonderful artisans: that the imperfection is there on purpose, to show that the creator was human. Speaking of errors, there’s an error in your comment, too! “As you know, a little of us goes a long way.” Shall I point out that’s mind-reading on your part? Also, I would take issue with your judgment there. In any case, though, it’s great to see you (as always)! And thanks for the happy birthday wishes, too. Give Ray my regards (and thanks for his excellent handwriting). P.S. I’m not answering your question, because it’s too existential. This was such a fun post, and perfect timing as well. Happy Birthday! I’m so glad you enjoyed the post and yes …. Steven Wright is so great. Thanks for stopping by and for this perfect comment. I enjoyed your birthday, thanks for letting me join in. And thanks for reminding me, my 60th was the birthday of my life. It was a particularly difficult year with sick family and our two daughters came and took over for 24 hours and when we returned the house was decorated, full of the people I love most in life, including my fragile father-in-law and my (extremely fit) 90 year-old father, wonderful food and a singer to sing my favourite arias. The party went on into the night. It made me happier than ever before and gave us the energy to see our difficult times through. Thank you for this beautiful comment, and for taking us with you to that wonderful 60th birthday of yours. I appreciate, so much, that you visited here today. So you’re an Aquarius dear Ann, one of my favorite signs! Happy happy birthday! 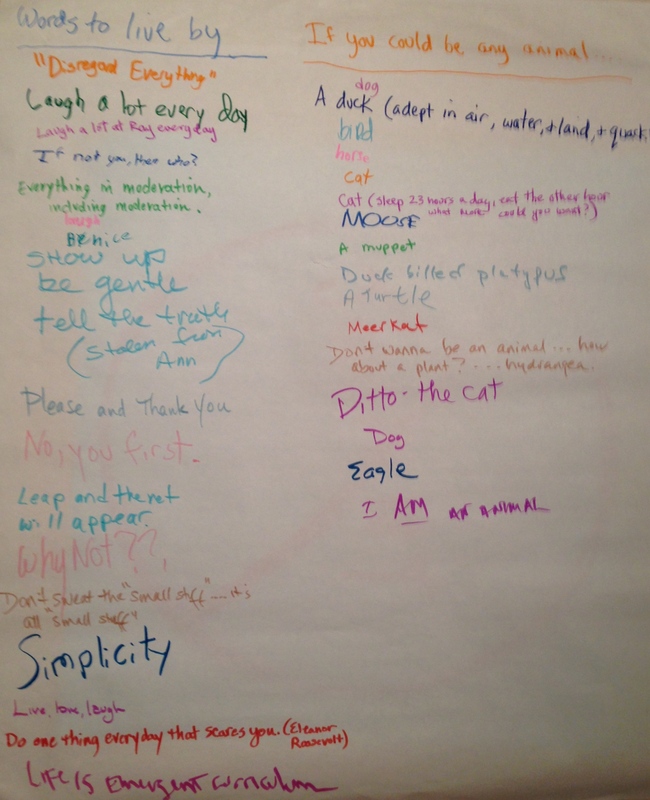 The lists are a great idea, and here’s my favorite point: don’t eat yellow snow. LOL! Thank you thank you, dear Heila! I’m glad you like the lists. Thanks for the birthday wishes. Happy birthday to both of us! That’s right! It was very pleasing for me to read your comment. Thanks so much. Yes, Mark, time does fly. It’s always great to spend time with you, too. Thanks for the birthday wish. Happy Birthday! I had you pegged for 30! You were close, David. 31 years isn’t much, in the context of the age of the universe, right? Thanks for visiting and for your birthday wishes. That’s it. Young in spirit. That’s what counts Ann. What a fabulous way to celebrate! Happy birthday, Ann. I’m enjoying your posts immensely. I’m so glad you’re enjoying the posts, Michele. Thank you for this fabulous comment. How wonderful! happy happy birthday! Thanks so much!! It’s always great to see you here. Happy birthday to you Ann, hope you had a lovely day! I did, Ute, and it was lovelier because of your visit. I am very happy to have contributed even though it is over the net! big hug! 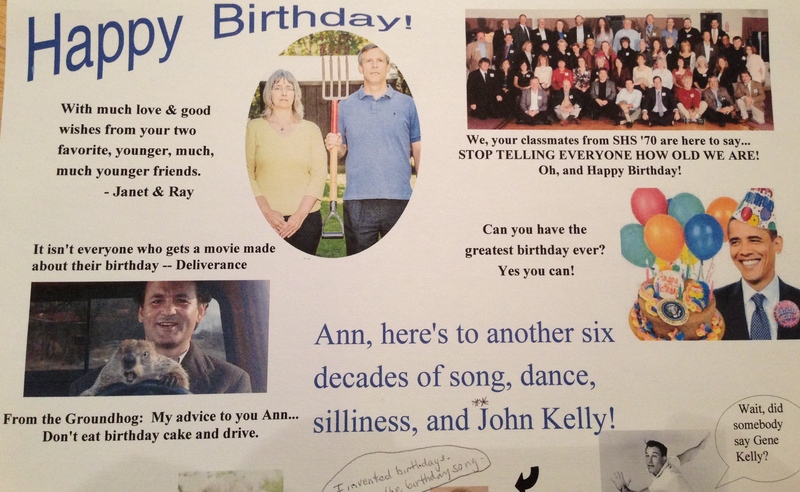 I LOVE this – Happy Birthday Ann! I love seeing you here, Diana! Thanks so much. Yea, is right! Thanks for reading and commenting. The way I see it you should live every day like it’s your birthday. Happy Birthday Ann! This is the most helpful thing I could read near the end of my birthday. Thanks so much for sending me this message. It’s a pleasure to return a little education your way. Thanks, Aussa! I always get your posts a day later. I wished you happy birthday-pre-birthday, and I will will wish you a happy birthday post birthday with fun facials or pedicures together:) I was going to sing happy birthday to you with Ellen during your birthday, but she didn’t want to sing…boo hoo. Thank you for this lovely comment, Linda. And, yes, Ellen’s poster, which showed highlights of my 60 years — is WONDERFUL (and still up on the wall, in the same place it was last year). The only reason I didn’t include that poster here: I am not showing photos of myself, at this point in my blogging journey. Thanks for all your birthday wishes and all the other wonderful gifts you bring. thanks for the great party ideas! I am so glad you like the ideas and it makes me happy to think you might use some of these some day. We’ve just gotten new neighbors (http://seezooeyrun.wordpress.com/2014/02/03/welcome-neighbor/) and I was thinking of throwing them a Welcome party–those paper posters would be awesome, with subjects like, Your favorite thing about living in this community; or, Fun activities to do in the area, etc.